It’s quite a long history, but gives an idea as to the sort of company we are! Ron Harrison formed the company in 1970. He was proud to say that personal customer attention along with the best advice is the key to a successful business. 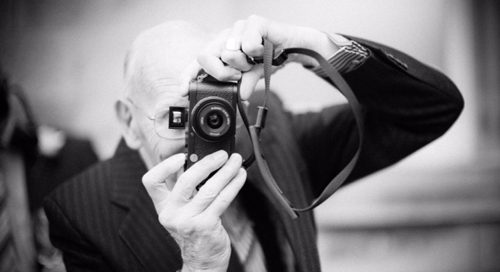 Using the knowledge he learned in large format reconnaissance photography in the RAF, Ron first worked for Prestons the Chemist in Sheffield, before entering photographic retail with Hodgsons Camera Shop in Sheffield. He was instrumental in forming Woodseats Photographics, with two shops in Sheffield and later, an additional shop in Scunthorpe. He moved on to starting his own business with just a pair of 10x50 binoculars, a Yashica Electro 35 Camera, a cine camera, a £250 loan from his parents and credit accounts (30 days ) from two Yorkshire based wholesale suppliers. Due to his tenacity and excellent customer communication skills, the company soon grew. He would often let students who were strapped for cash, take cameras away with them and pay on 'tick' with nothing more than a name and address as security and do you know what... he was rarely let down. 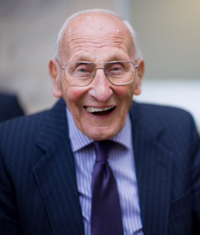 Ron died in July 2018 at the grand age of 91. He is sadly missed, but his legacy continues as the Company follows his key principles outlined above. It was soon clear that Ron needed a helping hand and from the age of 12, his son, Glyn worked in the shop in the evenings and at weekends to help his father cope with the growing demands of a busy shop. Glyn is the sole director. The shop now covers a floor area of 245 square meters, and is still located on London Road in Sheffield. Although we have changed premises over the years, we are still within 75 metres of the original shop that Ron founded, forty-seven years ago. The shop is bright, modern and extremely well stocked with all things photographic, including optical products. We offer a warm and friendly Yorkshire welcome, and we are totally dedicated to offering all our customers the widest possible choice in photographic equipment, at of course competitive Yorkshire prices. We have an enviable reputation within the North of England, and we are determined that this is reflected in our online service. We are committed to staff training, and with the help of our suppliers we ensure the product knowledge of our staff is kept up-to-date in this fast moving, digital world. In June 1998 Alison Harrison registered the domain name www.harrisoncameras.co.uk and then spent a good deal of time pulling her hair out with dial up connections and payment issues, before moving to a web provider that could cope with the increase in online traffic. Now the website is a fundamental part of the business and turns over a significant part of the company's total sales. In October 2013 the web department moved to new premises, as bigger offices and warehouse were needed to continue the expansion of the website, and to hold stock for the store. Our dedicated warehouse allows the increased number of staff to dispatch your order quickly, easily, and to efficiently pick and pack your orders, whilst providing our online team with a pleasant working environment and better facilities. We also have a commitment to limit the company’s impact on the environment. We have managed to reduce our use of electricity by more than 50% over the last few years. This has been achieved by installing more energy efficient lighting, better air-conditioning and also by installing 54 solar PV panels on our buildings, with a combined maximum rating of 11.5kw. All electricity used by the company is purchased from Good Energy, a 100% renewable supplier. Please enjoy browsing our pages; hopefully, you will find our site is easy to use and informative. Our prices are kept as low as possible, to offer real value for money, and our dispatch partners have been chosen to efficiently deliver Direct to your Door. Website security is our primary concern, and please be assured that we comply fully with the UK’s stringent card data rules. This means that your credit or debit card data is not held by us, and our payment acquirer must adhere to the PCI regulations, meaning that MasterCard Securecode, Amex SafeKey or Verify by Visa must be used. All data is fully encrypted, thereby ensuring that only the cardholder can use the card. We are fully PCI DSS compliant with Worldpay Safer Payments. So why choose Harrison Cameras?